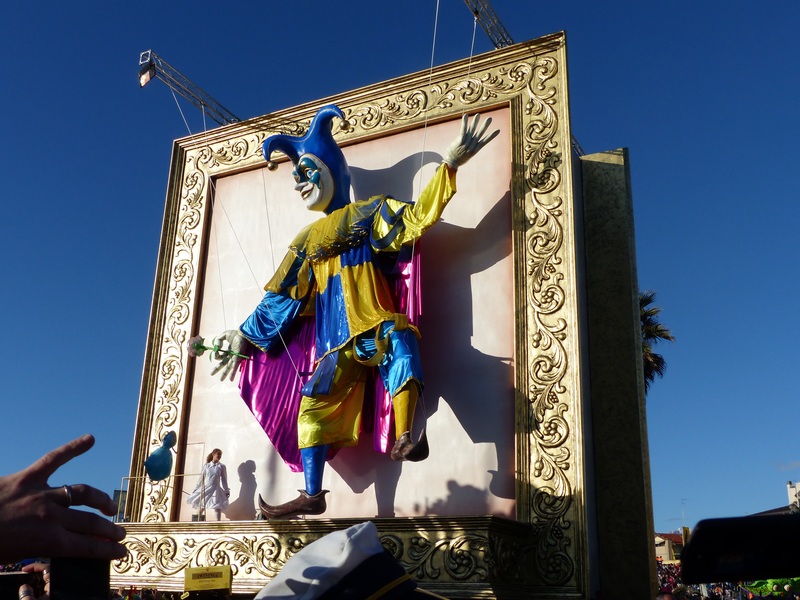 Fortunately I arrived in Italy in time to revisit the dazzling Carnevale in Viareggio. As usual politicians come in for some ruthless comment. 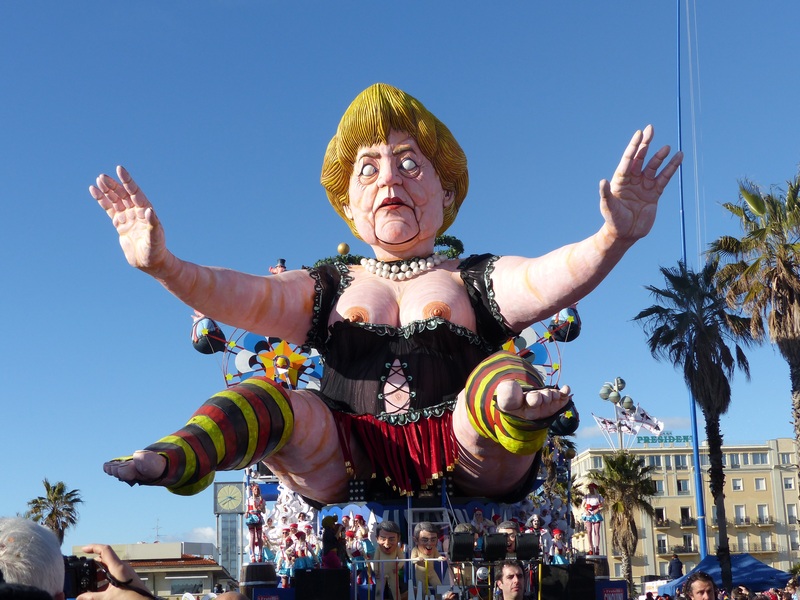 On the first float I saw poor Angela Merkel dressed as a showgirl. Occasionally she would give birth to a little naked man, (I think it is Renzi) while being led by an army of sperm…poor Angela. 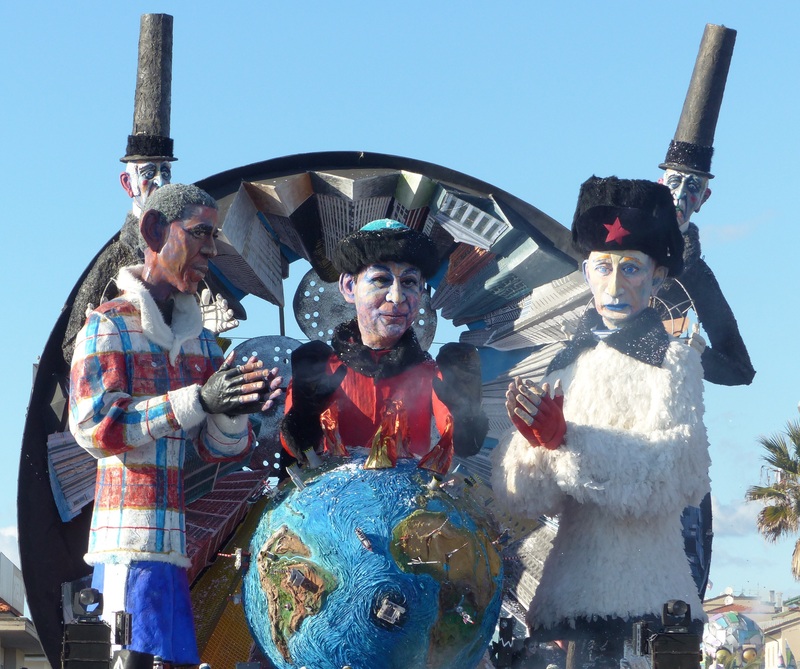 World leaders warming their hands on a burning globe was a standout float. I was most impressed by Putin’s blue eyes and lips and Obama’s blue eyelids, shown off when he blinked. Politicians and the Pope always make an appearance. 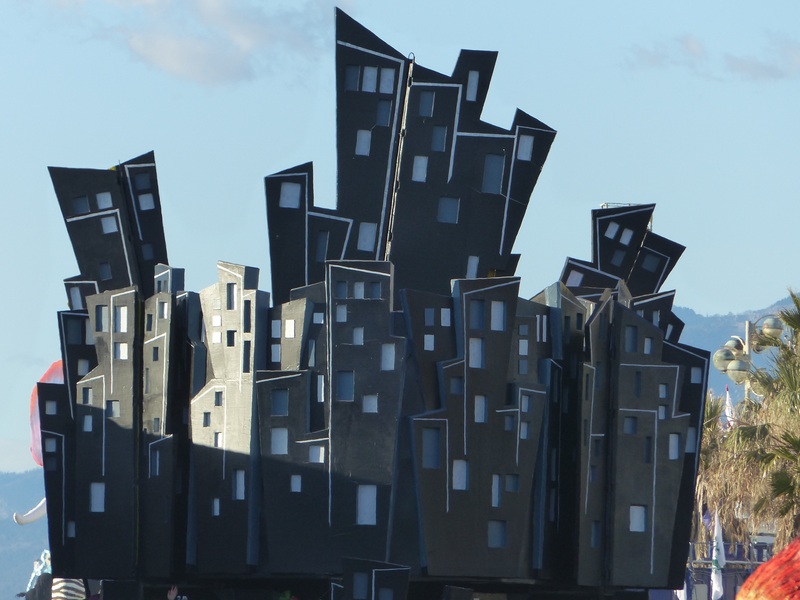 A 2 sided theatre showed a happy, colourful side and a dark, sinister side. Pinocchio gets some dark treatment. Some themes are a bit obscure. Maybe I need to know more about current affairs in Italy. A city changes from from black and white to full colour. A cake opened up to reveal a lively centre. There was a very impressive elephant. This is a wonderful event. It seems chaotic. People wander in and out and all around the floats while they are trundling down the street. There is loud music, confetti, children, dogs…all together having fun. Some of our very carefully choreographed events in Australia could learn some lessons here. 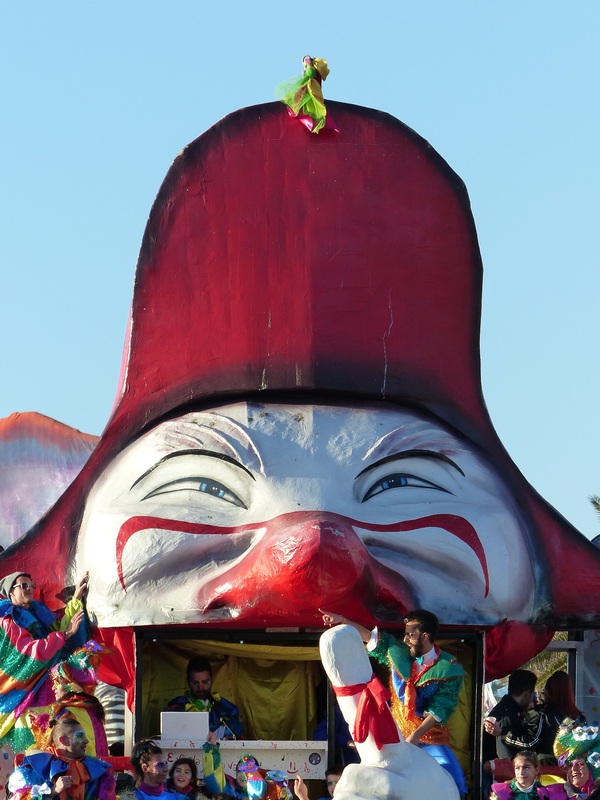 Take a look at Bella Bagni di Lucca for some Carnevale faces. I had to include a little bit of Australia. You must be here one year for the parade. Great pics. Missed it so much. 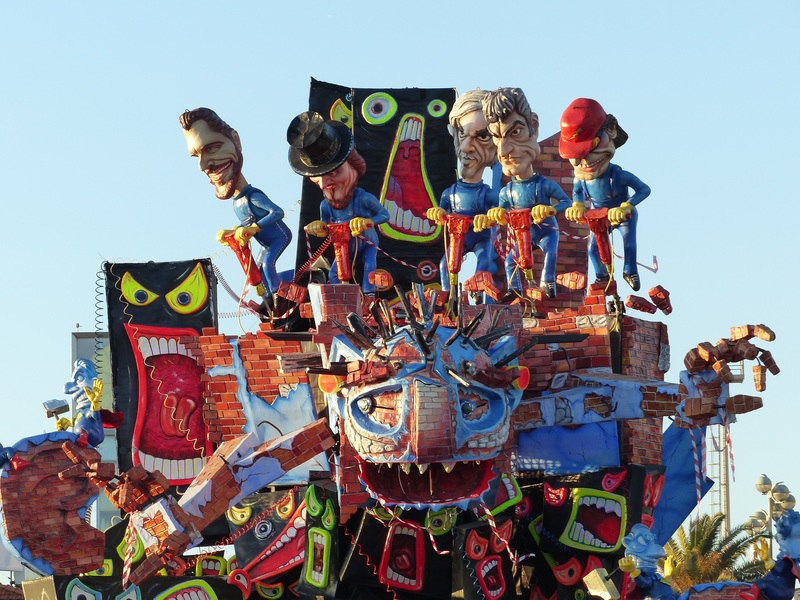 London’s Notting hill carnival isn’t really officially a carnival as it takes place after lent and then so many people get murdered at it….Viareggio is the real McCoy. It really is a great event…and we were lucky with the weather. I didn’t realize that humorous commentaries were so profound in this parade. They must have had endless material with Silvio Berlusconi. How long is this parade? (in the sense of time).Thanks for the grins. It took about 3 hours for the floats to go around the streets. I stood in one spot and let them go past me. 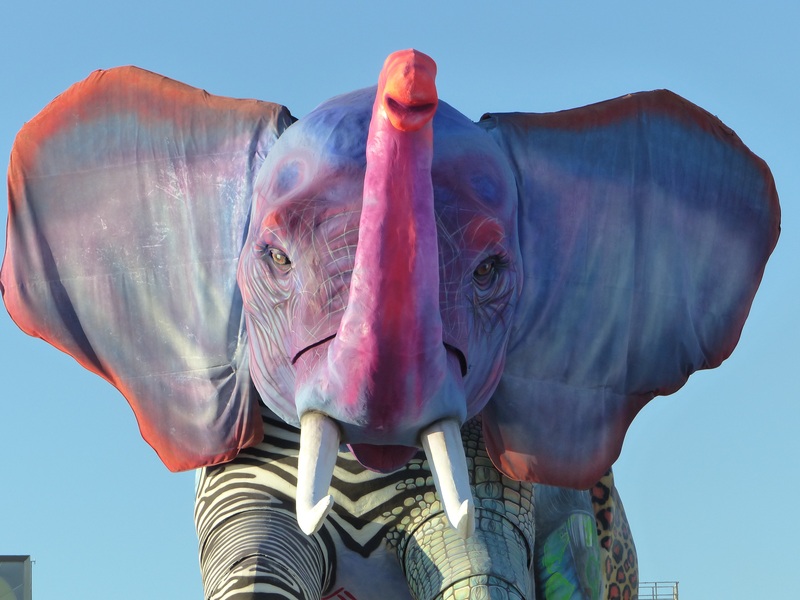 You can go to the category Carnevale in Viareggio to see the posts I have done on the last few years (except last year). There is lots on Burlusconi. Wow … that’s longer than I anticipated. Burlusconi had to be a gold mine! As you can imagine the floats go quite slowly. They are huge and there are lots of dressed up people walking in front of them. There are also lots of smaller participants. These are a bit hard to photograph as I am short and hemmed in by people. Brought back wonderful memories of our day there last March. I have been for the last few years. It is always good. More great photos, Deb! 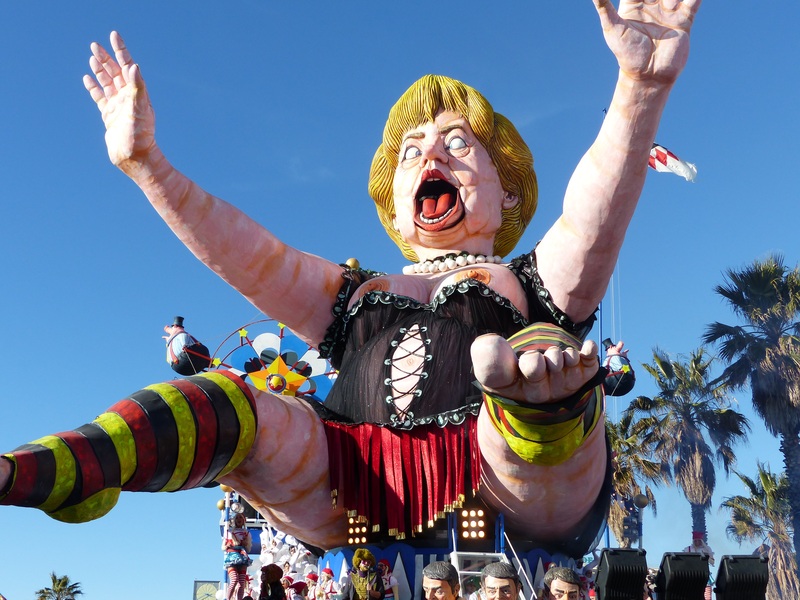 Viareggio always puts on a colourful, irreverent event which is great fun. 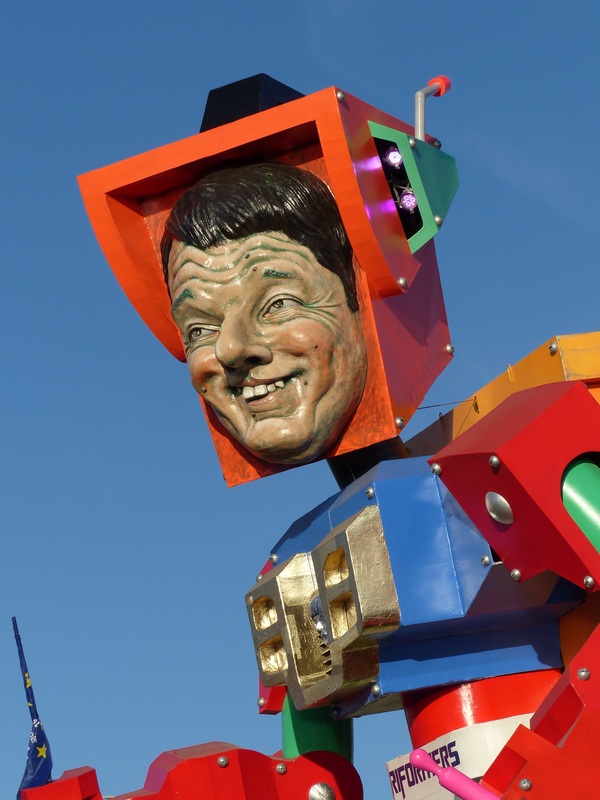 After all, this is what Carnevale is all about…. It is good that people can use these occasions for social comment. The parade is spectacular. I hope I can make it next year. Yes, who would be a politician? Fabulous. I was waiting for Berlusconi to turn up and he did, looking bvery camp. better fun than Mardi Gras. He doesn’t feature as much as he once did, but he still lurks around…much like in real life. It’s great fun. This was my 5th Carnevale. They come up with amazing things every year. Oh, so Italian Deb!! Hilarious and I love it all! The floats are incredible. They are huge and you get to be very close. Wow these are quite the masterpieces! I am alittle shocked by Merkel and the sperm men though. Is it always so political? Fascinating photos! It is always political. Considering they take months to make they are very topical. Poor Angela, I wonder if she knows about this. Great photos and very creative floats. No doubt someone has passed on the good news to Angela. You would have to have a tough hide to be a politician. Fascinating as was not at all knowledgeable! Scrolling up-and-down led to Mr Google and quizzes re other similar festivals – dunno that I agree with myself as an ‘explorer’ but have sure had a ball exploring this!! Thanks!! Marvellous photos and do wonder why Angela Merkel seemed to ‘cop it’ above others!!!! It seems it was really Angela’s turn this year. Burlisconi featured for many years, but he has been pushed to the side. 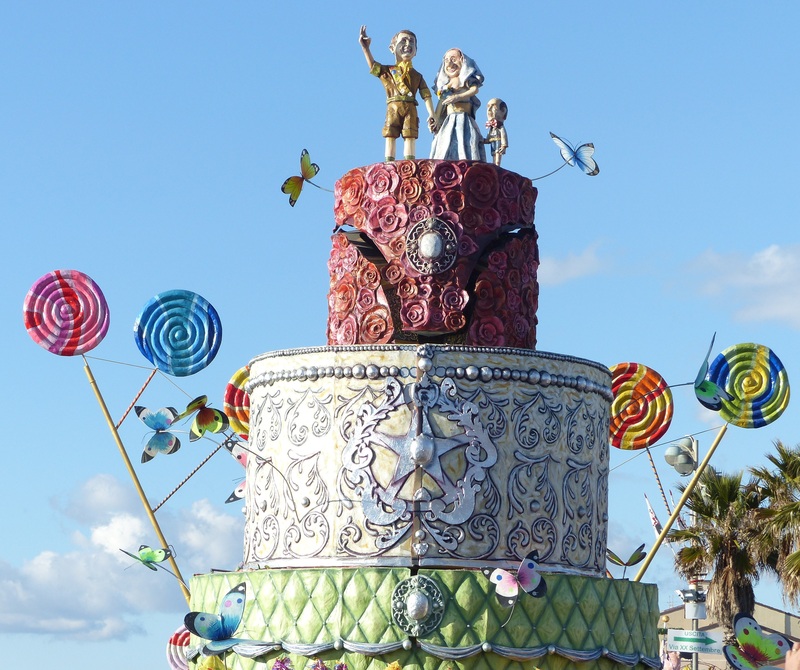 What a fun event and all your great pictures, Debra, I have never heard of the Carnevale of Viareggio. I thought it was well known. You can go back and see the ones I have photographed previously. 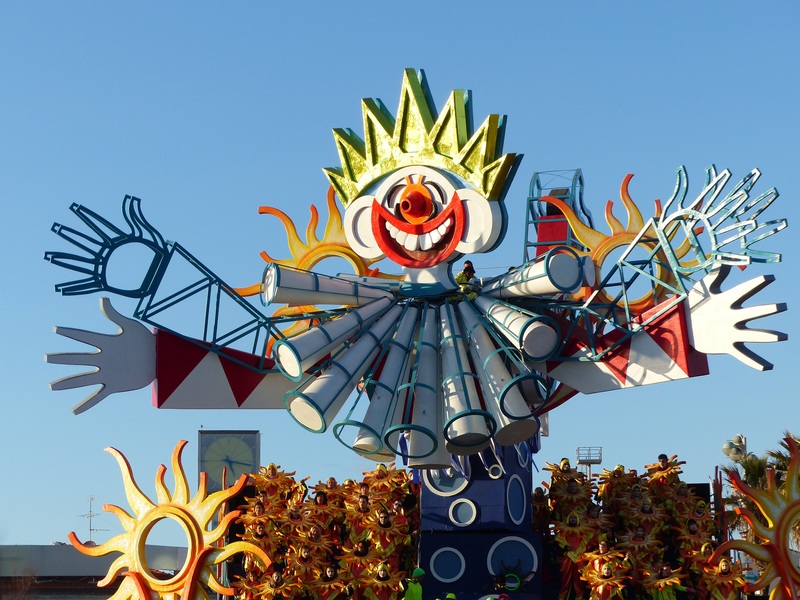 Viareggio certainly puts on a good show…it was a beautiful day too. Looked to be hilarious- some pretty amusing and clever and some so not. Anyway thanks for the pictures – bet you then went to your favourite sea food restaurant for that delicious fish lunch. 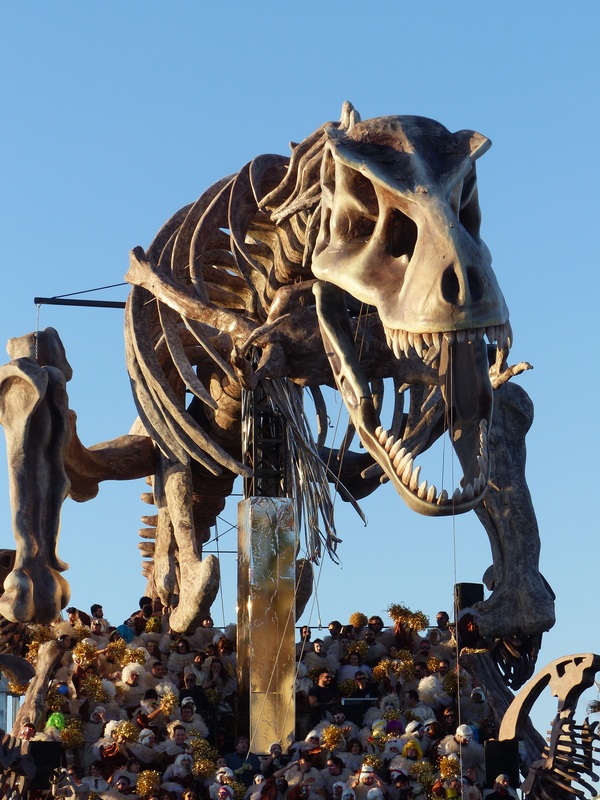 An amazing amount if work goes into these floats…there are some clever people around. Thanks Deb fabulous photos. I think I need to time a trip around ths carnival. Come next year and we will go together. Amazing spectacle – great photos! The likenesses are amazing! So happy you made it once again this year! What a wonderful event to attend. 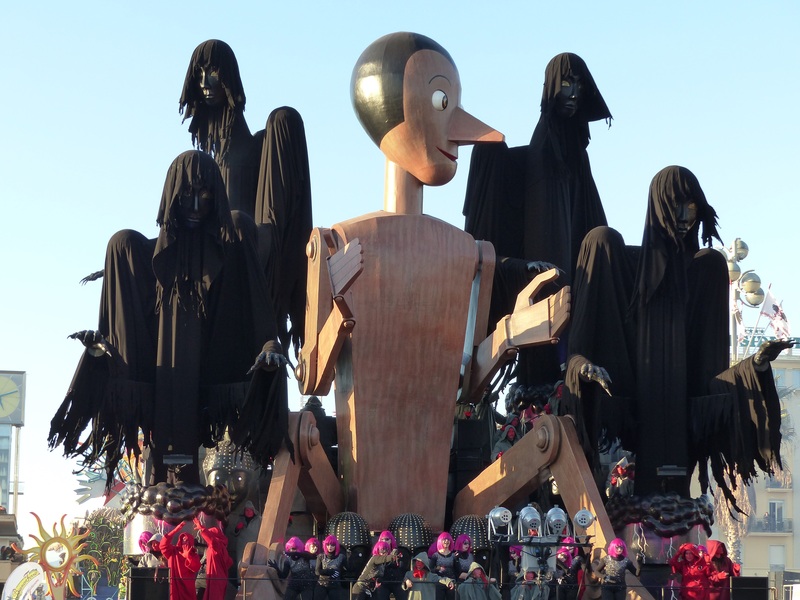 I can’t believe the size of the floats and how imaginative they all are. Thank you so much for sharing carnevale with us. The floats are enormous and the music is very loud. It is an exciting event to attend. I love Carnevale! They are such incredible pieces! So much talent and work must go into those floats. How is it funded? I think you will have to wait for them to announce the dates. I’m not sure what happens when.